Erected by John Sutherland farmer Mid Clyth in memory of his son. Alexander Sutherland drowned at sea 11th January 1886 aged 20. 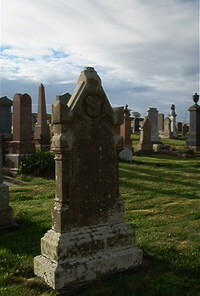 Sister Marion Sutherland died 30th October 1894 aged 10.